Between your work and your personal life, you probably don’t have time to shop around for a special gift, let alone for the many less special gifts you may be responsible for. If an office gift-swap party or an expectation that you will bring a present for a co-worker is stressing you out, fear not. 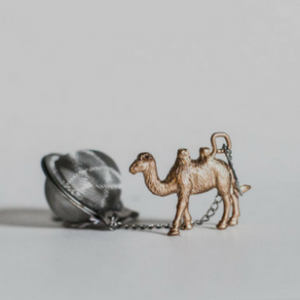 Whether you’re searching for a funny secret Santa gift or looking for stocking fillers, we’ve rounded some of the best Secret Santa presents we have to offer – and all for a tenner or less.. Here are 10 gifts under £10 that are guaranteed to please. Ideal for the office’s in-house alcoholic, this tote bag is inexpensive. 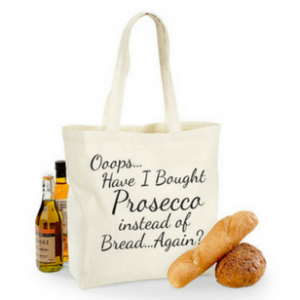 Chic and simple, this cute tote is perfect for fashion and Prosecco lovers alike. It comes in black or cream and gives a cheeky nod to getting merry at this time of year. This bag is perfect for organising notebooks, pens, makeup or pretty much anything else. Travelers will dig this compact, self-organising shopping bag. Do they struggle to keep tabs on your drink when the party’s roaring? 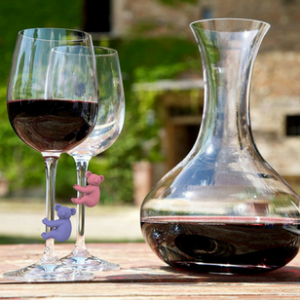 Give a wine-lover something a bit more original than a silly glass to drink from. These climbing koala bears help to mark glasses so everyone can keep track of their own at parties or events. Stick one of these cute koalas to the stem of your glass and you’ll be able to locate your drink in the jumbled jungle of any party. Time to turn up the lights and get the party started with these fabulous table lights. Light up the eyes of all prosecco lovers with these fun, bubbly bottle table lights, perfect for adding ambience to any festivity serving up fizz! 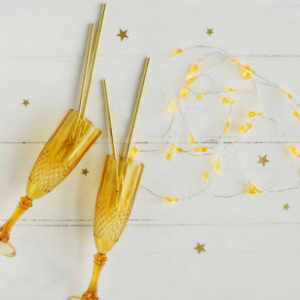 Whether you’re looking for the perfect stocking filler, these little prosecco bottle table lights will certainly add some fun to your celebrations! Team them up with a game of prosecco pong and have your guests bubbling for ages! Even funnier in real life, these will break the ice at any Christmas party. Let’s face it, you’re not going to find more entertaining coasters to put your drinks on than these face mats! 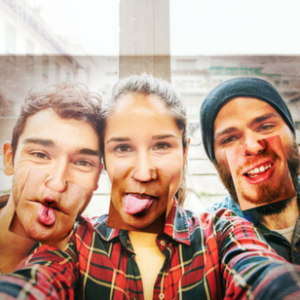 These change your appearance, creating the perfect selfie opportunity! Next time you wish you had an instant disguise nearby, consider leaving your drink on one of these face mats. They’re great for putting around the table at Christmas, or for taking to a party! Star Wars fans will love you forever when they see these cool cards. 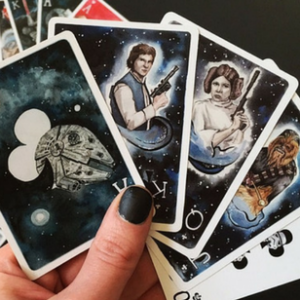 If the name you picked out the hat is a Star Wars fan, give them these Star Wars playing cards. Let them experience their favourite deep space movie saga with these “Star Wars” themed cards. If Star Wars aren’t there thing, why not try something else they may love? Have a friend who loves “Harry Potter”? Don’t fear. There’s also a fun card set for “Game of Thrones” fans too. 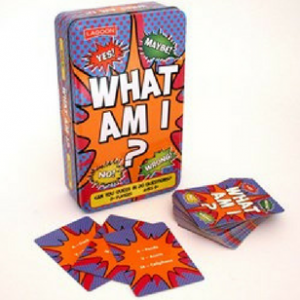 A quirky card game, where you get to guess what or who your opponent is. They could be an animal, vegetable, mineral or something completely random like a stapler or maybe a person like Harry Potter. It all depends on what they choose to be. It sounds easy doesn’t it, but don’t be fooled, as the person can only answer your questions with a Yes or No. Choose your questions wisely! 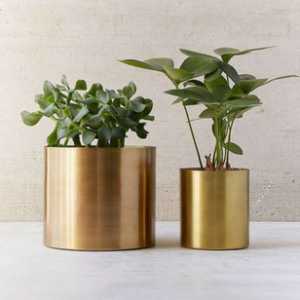 Modern minimalist planter in subtly antiqued metal. Pair with your favourite plant! If your Secret Santa has a green thumb, get them a gorgeous metallic planter that they can use for any type of small succulent, cactus, or air plant. Add some green to someone’s life with this minimalist potted plant holder which is perfect for lovers of metal or as a gift for gardeners. Fill with your favourite succulent or cacti. There’s something calming and seasonally appropriate about scented candles. 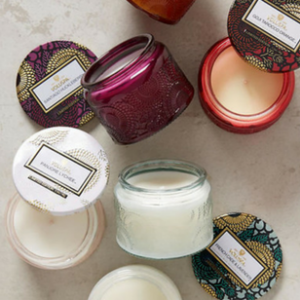 You can never go wrong with a candle, especially when it’s fancy and decorative. In fact, you might as well pick up a few extra and use them as stocking stuffers or office gifts! Choose from French Cade & Lavender, Panjore Lychee, Santiago Huckleberry, Goji Tarocco Orange, and Mokara. Thees candles are decorated with luxuirous decals. 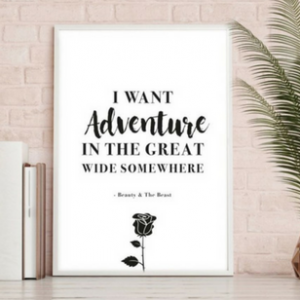 Perfect as a gift this simple typographic print is perfect for any Disney fan. A wonderful, inexpensive print of art that still has that flair of something magical. If your looking for a little more fairytale charm, this print is a sure way to go. “I want adventure in the great wide somewhere.” Belle sings of better things ahead in one of our favourite scenes from Beauty & the Beast. There is nothing like a nice cuppa tea, but everyone’s perfect brew is a little different. 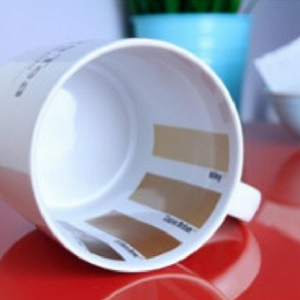 If you’re constantly on a quest for the perfect cuppa, then try out this paint-chart inspired cup which will match the lovely taste you’re lusting after to the exact shade of colour to aim for. Maybe you like the tough taste of ‘just tea’? Or you might always able to make a builder’s brew? It’s a bolshy brown! Conversely, you might just be after a simply milky cup? Aim for a pale gold! 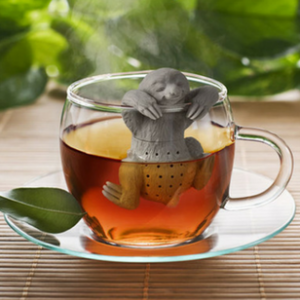 Take time to relax and let the Sloth tea infuser make your favourite cuppa. If your Secret Santa is a tea lover, pair this adorable sloth infuser (or any of the other options at the link above) with some loose-leaf tea. Bonus points if you know what kind of tea they like! Take a break from your frantic pace and let Slow Brew make you a perfect cup of tea. This sweet sloth infuser is made of heat-resistant and hangs patiently aside your mug. You can easily and quickly make your favourite tea with this fine tea strainer. Enthusiasts will love this classy tea strainer in their mug. This is perfect for brewing any loose leaf tea. There are also other fun safari and farmyard animals! You can easily and quickly make your favourite tea with this fine tea strainer. Made of stainless steel, you can also use it to sprinkle cocoa or icing sugar on top of pastries and desserts. 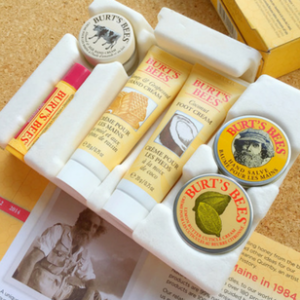 You can’t go wrong with a Burt’s Bees gift pack. Burt’s Bees Essentials Travel Kit contains generously sized minis to keep you looking beautiful wherever you are in the world. Travelling can really take its toll on your skin, so treat yourself with these! Inside it includes two cleansers, foot and hand cream, body lotion, and hydrating facial lotion, which is perfect for anyone who travels or just loves natural beauty and body products. These sweet and tasty replicates of make up will be very appreciated by your secret Santee. A fab stocking filler idea for Christmas, this box contains delicious chocolate make up. 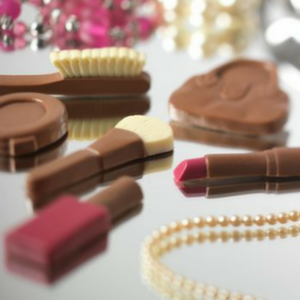 It’s the perfect present for any chocolate lover that adores make up or is a beauty fanatic. An ideal alternative to a traditional box of chocolates and for beauty-loving colleagues, who will revel with their two favourite things. These make up treats are a girls’ best friend. Goodbye work stress, hello smooth lips and the sweet taste of Prosecco – without the alcohol. Treat your secret Santa to the beautiful taste of Prosecco all day long. 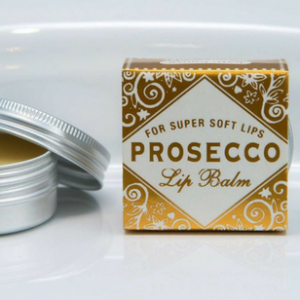 With the Prosecco Lip Balm, you can get super soft lips and the next best thing to pouring a glass of Prosecco! Enriched with Vitamin E, this lip balm will leave your lips feeling smooth and soothed. Chapped lips will never be a problem again with this handy sized pot. Did this list help you find the perfect gift? If not, please have a look at our Secret Santa Pinterest Board. 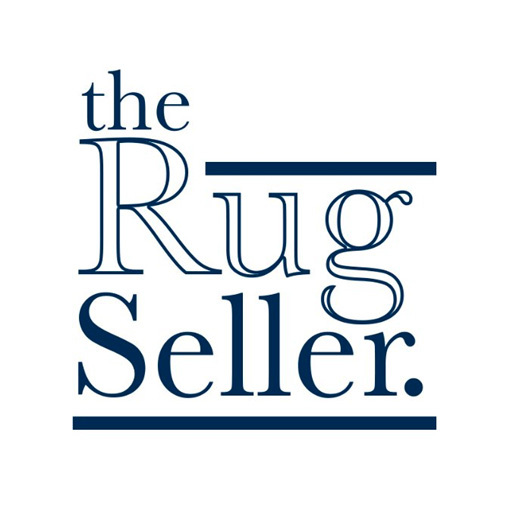 Make sure you also give us a follow. We would also love to add your ideas to our board. 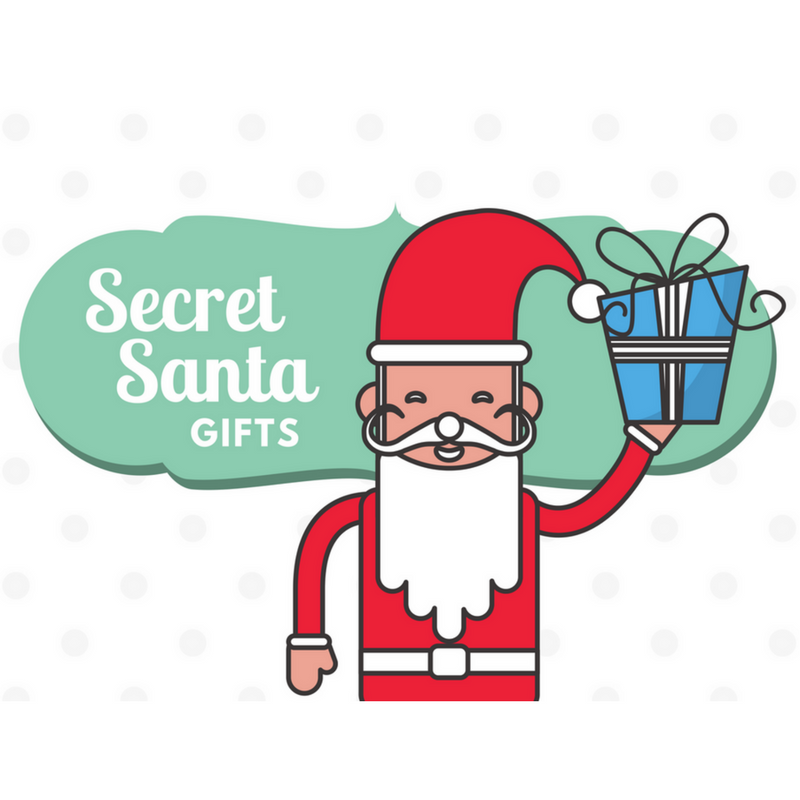 Where is your favourite place to find one-of-a-kind Secret Santa gifts? 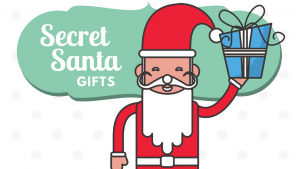 If you're looking for fab and unusual Secret Santa gifts look no further! Fun and unique Secret Santa gift ideas under £10.